Whether you have the luxury of a short stopover in this vibrant country or are planning an extended holiday, you’ll never be short of things to see and do. With such a vast variety of attractions, from marine parks and safari tours to shopping precincts and historical temples, everyone is sure to find something that they’ll fall in love with. 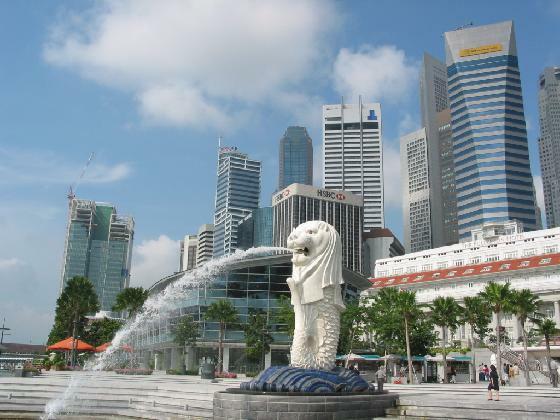 – Singapore is commonly well known for its fantastic shopping. Haji Lane is hidden in a small backstreet, but is paradise for the trendy, catwalk inspired shopper – An absolute must for any shopping addict! – If you’re looking for the best in local cuisine, you can’t go past the streets of Geylang. You can get just about any food you like here, from Chinese and Indian to Malay and Indonesian. – Everyone knows that the place to get the best Plastic Surgery is Singapore. If you need a nip or a tuck, or simply want a quick dose of Botox, Singapore is the place to be. – If you’re a bit of a geek or fascinated by the world of technology, you’ll love what’s on offer in Singapore. While there’s a massive range of new technologies, you can also pick up electronics for cheap. – This is, undoubtedly, one of the most magnificent displays of the heritage of Singapore. If you only have a short stopover and want to make the most of your time, you must visit the recreation of Singapore’s history, which lies within the walls of the Chinatown Heritage Centre. – If you’re searching for the perfect view of the city, simply take a ride on The Singapore Flyer. For 20 minutes you’ll soar 165 metres above the ground, in the world’s largest observation wheel, gazing upon the vibrant city below. – Now we’re not talking about Alice in Wonderland, but this place is every bit as captivating. A trendy, hidden dining spot, in the freshly renovated barracks of Dempsey Hill, The White Rabbit is a must see, when visiting Singapore. – If you’re looking to party, hit up the world renowned ‘Zouk’, the best nightclub in Singapore! – When searching for family fun, you can’t go past the breathtaking venue of Underwater World Singapore. With an abundance of native and exotic marine wildlife, you’ll spend hours simply gazing at the wonders before you. – The best time of day to visit the Singapore Botanic Gardens would have to be during the early hours of the morning. Stroll through rainforests and orchids as you discover this natural beauty, hidden in the city centre.